Nothing feels more appropriate for Valentine's Day than red and pink. 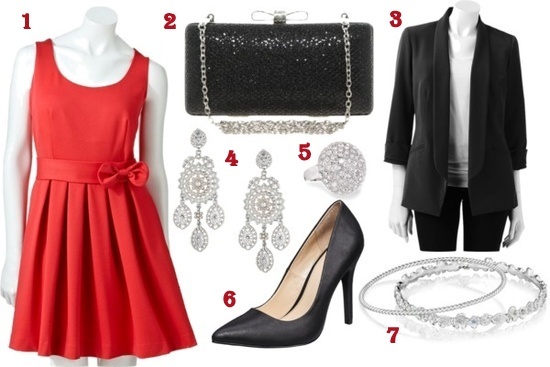 Below is some outfit inspiration to suit your Valentine's plans? I am just so in love with your style! INCREDIBLE! Oh Anna, this is by far the most beautiful and romantic Valentine's Day story I've EVER heard! You are so lucky to have a man who loves you so much! Awww that is adorable!!! Gorgeous outfits my goooosh I want them all. Metallic + pink combo is my favorite! 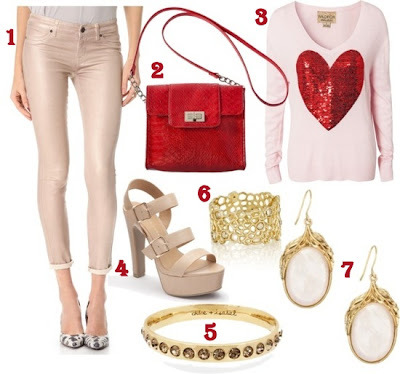 Cute looks - they are all so perfect for Valentines Day! Your style is amazing! Hope you and Justin have an amazing day! If you get a free sec perhaps you can check out my blog and see what I will be wearing for Vday tomorrow. I love your style! it is amazing....It is so me if I could afford all those pretty clothes :-) I am a big fan! Fab post! Love your red skirt. post. Тhеy're very convincing and will certainly work. Still, the posts are too brief for novices. Could you please prolong them a bit from subsequent time? Thank you for the post. Such a special memory!! I am obsessed with your metallic + pink picks. Too perfect. that is so sweet! my favorite valentine's day memory is the valentine's day i met my boyfriend :) happy valentine's day anna! What a sweet story Anna. you have such impeccable style. I love every outfit you deliver.. Happy Valentine's day, hun..
awwww that is the sweetest!!! That is such a sweet story! What a winner! Your Justin is a keeper! What a great memory! I love the Flirty Moments look, very cute picks. Happy V-Day, Anna! Fun looks. Happy Valentine's Day!! Love every single outfit !!! Let see my first outfit Post about Mangano!!! I wait you :-D Kiss from Italy ! What a good man and sweet story, it sounds like you will have romantic gestures from him always! great outfit pics! Happy Valentine's Day Anna! What an amazing and sweet memory. I love all of your cute pink and red dresses and skirts! What a great guy you have! That story is so sweet!! Happy Valentine's Day! Sweetest ever. Adore this post. That story is beyond the sweetest! You guys are adorable!! Loving everything about this post!! Happy Love Day my dear! Great story Anna! Happy vday as your first as husband and wife! Gorgeous. Love the outfits and the story is adorable. Happy Valentine's Day. Anna! Under your look called "Metallic + Pink" I used the SAME sweater for a Valentine's Day outfit that I declared "The Trendy Valentine!" 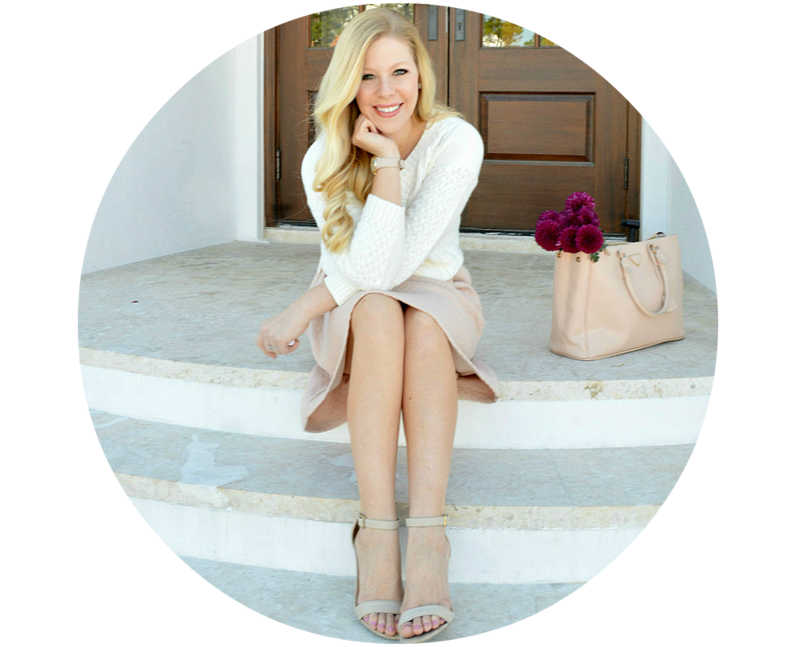 You can read the post HERE and look under Style to see my V-Day outfit ideas! Thanks for sharing your special moments! You certainly have a romantic man in your life! 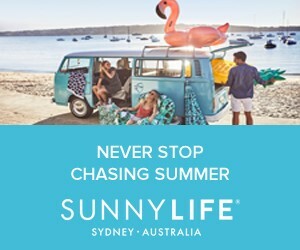 For tips and chatter on all things classy, visit: classyeverafter.com Giveaways coming soon! Ah I love all of this! Especially that pink and white skirt. So cute! 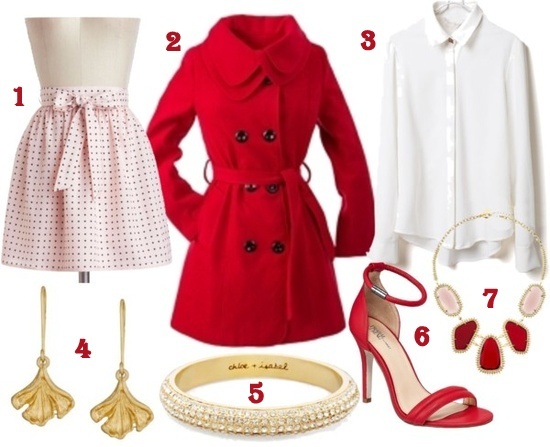 I love all these looks - so perfectly Valentine's Day how could you pick just one?! 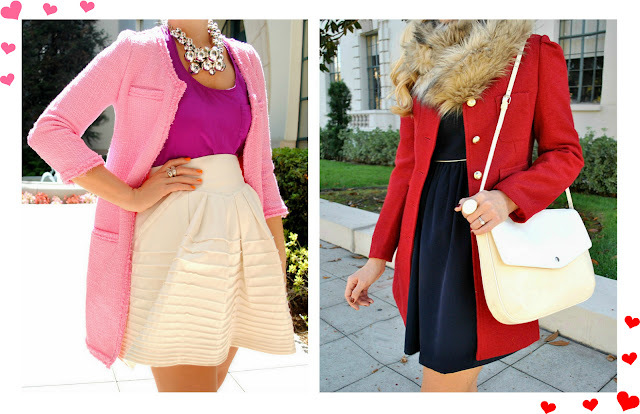 I love the dressy chic inspiration look! Your skirts are always so fabulous! Ahhh, Anna. I want all of your outfits. Love this post and this sweet story. Happy Valentine's day. I think I would fall over dead if my husband ever did anything that romantic. In fact, that's how I knew he was proposing to me when he did, because he was being all cute and romantic and it was a dead give away. Be thankful you have someone who shows you love in a creative way. Such a wonderful post, you look great in every look :) Happy Valentines Day!! Lovely story, and gorgeous photos! The pink sweater with the heart is too pretty. Have the best day! Happy Valentines Day<3 the photos are all really good and I love the outfits. I just came across your blog while scrolling and i'm very happy i have found it! I love the whole layout! I know that you may not see this but if you do please check out my blog, im just starting off and a follow would really help! That is one of the absolute best Valentine's stories I've ever heard. So. Sweet. I hope you have so many more wonderful Valentine's Days. These are all so gorgeous! Love every single one. Cute post as always! Love these ideas! Happy Valentine's Day! Obsessed with all of these outfits. You're one stylish lady. Ohh, I love all the 'inspiration' outfits you put together, too bad I don't have any plans tonight since my boyfriend and I decided to do something low-key and just send each other the good old fashion snail mail because we live about 3 hours apart! Your outfits are so cute and your Valentine's Day story was even cuter! Happy Valentine's Day! I think you're married to one of the most romantic guys ever! I'm so in love with that Ily Couture coat...perfect for Vday! What a sweet story! All of your outfits are adorable! Happy Valentines! The outfits are amazing as usual! And that story was super cute. You have a great guy. These are fabulous picks! My now-husband decorated my room with confetti and balloons for Valentine's Day while we were dating, and then we slow-danced to my favorite song as he kissed me. Perfect moment. Lovely! Hope you had an amazing Valentine's Day. That story literally made me tear up!! aww what a sweetheart. Good thing you married him, he sounds like a wonderful man! I love the pink bubble necklace! All of these outfits are adorable! That's an adorable surprise, I'm happy for you both!